Anderson, Sir James London, 1868 Existing and projected telegraphic routes to India considered In Ronalds library, IEE, ref P70/12. Clark, Latimer [series of scientific papers - also tables for inspectors and operators -see photocopied list] Ref in Ronalds library, IEE. Hempstead, Colin A. 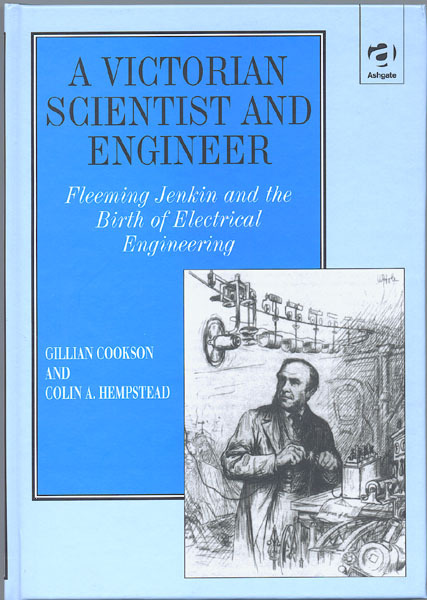 The Life and Work of Fleeming Jenkin, 1833-85 ? Hempstead, Colin A. Control Systems and Fleeming Jenkin's 'telpherage' ? Lauridsen, Cartsen R. How the telegraph broke the Liverpool Cotton Brokers' Association ?Harvard Business Review 1989/1990? Sakamoto, T. Technology and Business in the British Electrical Industry, 1880-1914 Proc Fuji Int Conf on Business History 1974?